I must preface this article by saying while it is an enjoyable read on its own, it would make much more sense after reading Part 1 of my summer road trip (which can be found here). Day Two! 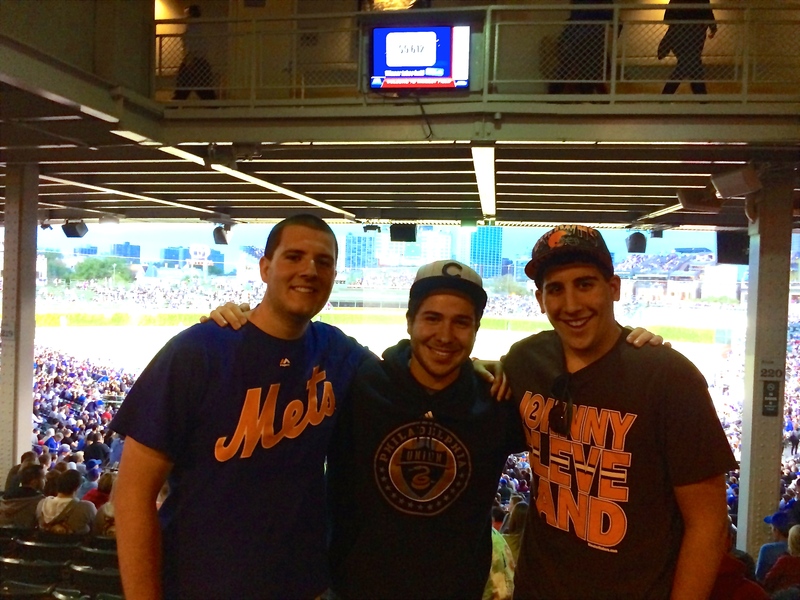 After a long day in Cleveland, we (Sean, Harry and Myself) headed off to our next destination for our second game of the trip: The New York Mets vs the Chicago Cubs at Wrigley Field. Sean, being from New York, has the unfortunate distinction of being a Mets fan, so he was beyond excited to see the Mets play. As a Phillies fan, I really can’t understand why. We had a long day ahead of us as we woke up, going from Cleveland to Chicago and seeing the game all in one day. As we are all college students, none of us were overly thrilled about waking up early, but by 8 AM we planned to get on our way. Theoretically, it was supposed to the lightest travel day we would have, with only about 5 hours of travel time between the two cities. After a complimentary breakfast of waffles at the La Quinta Inn, we headed off towards the Windy City! During the car rides, we had a very strict and hierarchical three seat system: one person would drive, one person would navigate/DJ, and the third person would sleep and distribute snacks from the back seat. While I wouldn’t call myself a morning person by any stretch of the imagination, I was by far the most capable of driving in the morning, so I had the first shift and got us most of the way through Ohio, just on the fringe of Indiana, before I handed off the wheel and took my seat in the back where I was finally able to catch up on some sleep. I woke up about an hour later and had no idea where we were, but I noticed that we just passed a sign for Holy Cross College. For those unfamiliar, Holy Cross College is where the main character from the football movie “Rudy” attends so he’s able to get into Notre Dame, his dream school, to play football for the Fighting Irish. At the time, I was barely awake and wasn’t too interested in exactly what was going on, and when I asked them was that in fact the school that Rudy went to, they humored me and said they weren’t sure. 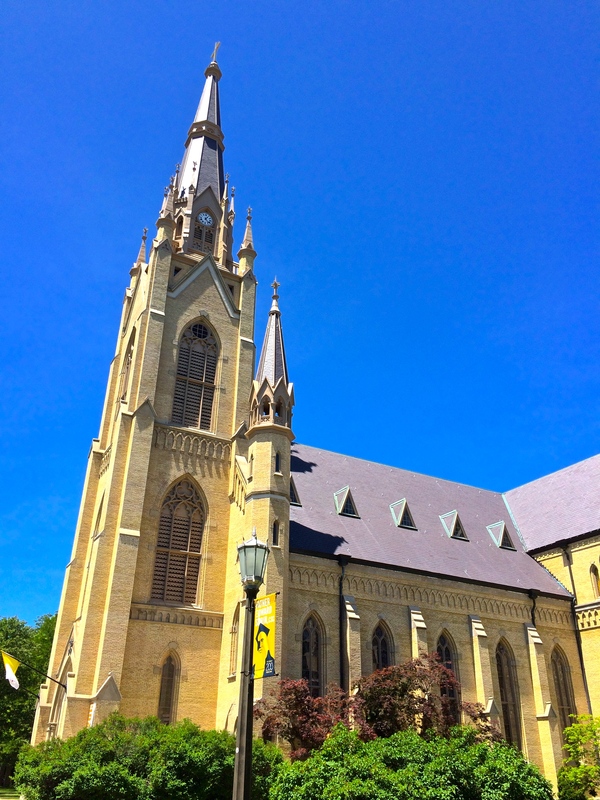 The more I came to my senses, I noticed more and more signs that said South Bend, Indiana, and I eventually realized we were in fact making an unscheduled stop to the legendary campus of Notre Dame University. We were about to stand on sacred ground. The first thing I could say was “wow”; no picture I could have taken would properly do it justice. 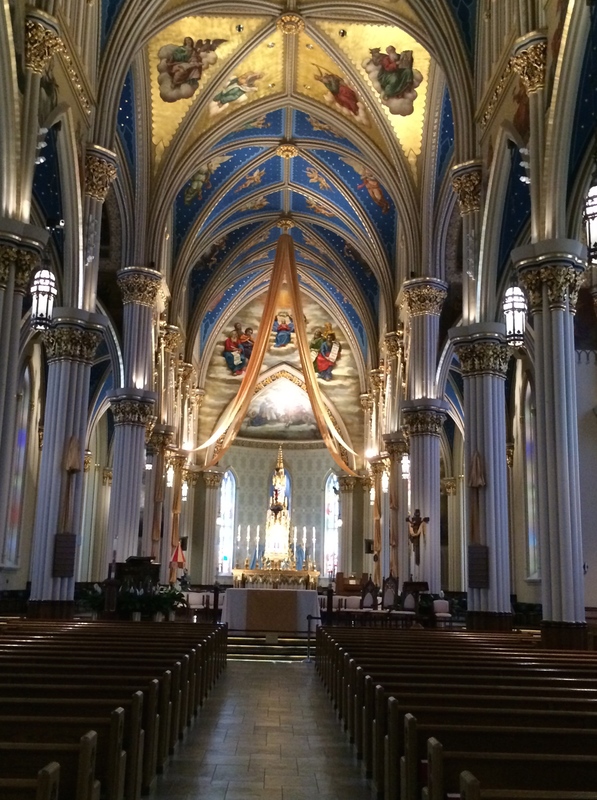 I have been on many different college campuses, but nothing could even come close to the absolute majesty of Notre Dame. Every building (and we went in a lot of buildings), was pristine, colored in their traditional blue and gold. You could absolutely feel the history in every aspect of the campus. There were water fountains the size of Olympic pools (which were different than the numerous reflection pools scattered around campus), statues to countless Catholic Saints standing proudly on campus, as well as numerous monuments to alumni who have done amazing things not only for the school, but as governors, Nobel Prize recipients, and multiple Hall of Fame memebrs or otherwise notable athletes*. 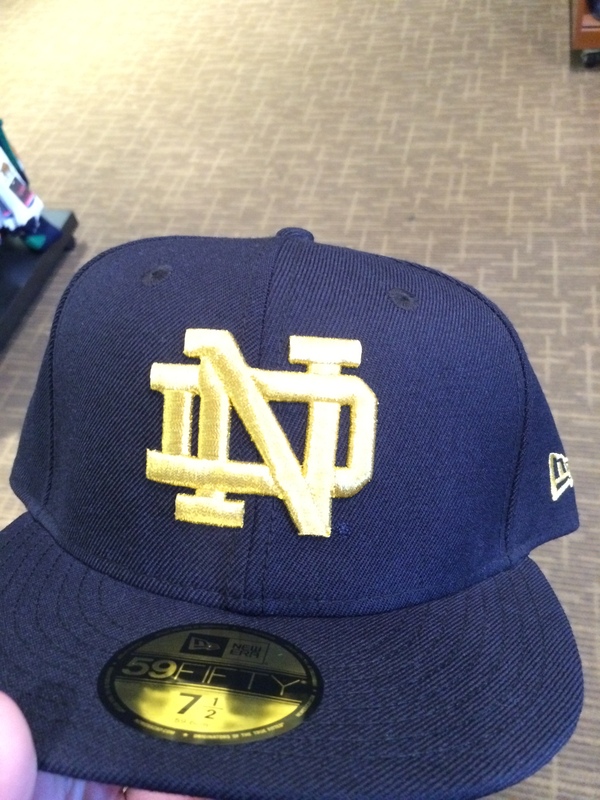 The one thing we weren’t able to see was inside Notre Dame Stadium, home of the Fighting Irish football team. One of the most storied and beloved football programs in history, few programs command the respect that they do. 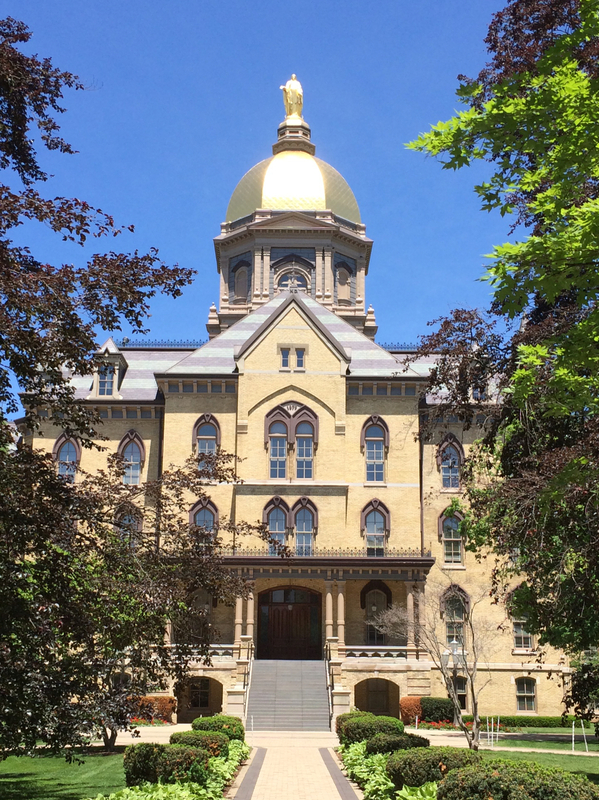 With legends such as Joe Montana and Joe Theismann having graduated from the program, seven Heisman trophy winners (a NCAA Record), and 12 Pro Football Hall of Fame Members, the history and tradition of Notre Dame is virtually unmatched. So there we were, at legendary Notre Dame. It was a surreal experience. The bookstore alone was bigger than President’s Hall at Seton Hall University, where both Sean and I currently attend. Three stories, and the bottom floor was just apparel, with a hat wall that would rival LIDS (I picked up the beauty pictured below while we were there). After walking about for what must have been two and a half hours just aimlessly exploring every nook and cranny we could, we realized we only explored about an eighth of the campus. Thankfully, there were numerous full services restaurants right on campus. While the name of the place we ate at escapes me, I vividly remember our waitress pointing out my Philly accent as when I asked for a “wooder” instead of “water”, which she told me they do not serve here. After what ended up being a four hour sabbatical, and easily the best spur of the moment decision of the road trip, we finally got back on the road, headed to our hotel in Chicago. As we got closer and closer to the city, the traffic got worse and worse. All three of us live in New Jersey, and have driven around New York, so we all are no strangers to absolutely horrendous traffic, but this was something else entirely. Gridlocked for nothing less than hours, we ended up having to go straight to the stadium rather than go to the hotel first like we planned. 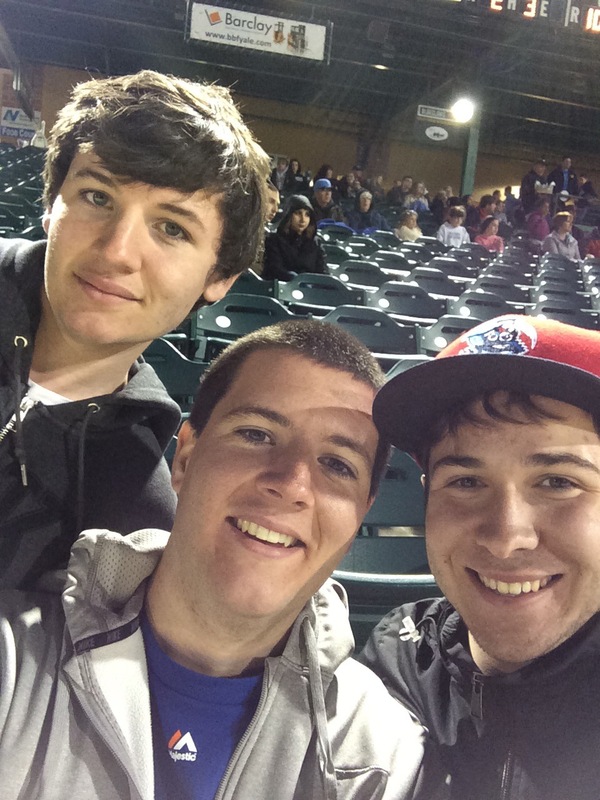 Planted squarely in the middle of a residential neighborhood, parking at Wrigley is understandably a struggle, and as three college students, paying $45 understandably for parking at the stadium seemed a little ridiculous. Many residents of the surrounding neighborhood have a second business renting out their personal garages as parking for many of the games, so when we saw someone holding up a sign for $20 parking only four blocks from the stadium, we jumped on that opportunity. Wrigley field is arguably baseball’s version’s of Mecca: its the place where every baseball fan has to go at least once in their lifetime. Its unique among the National League teams, with Red Sox’s slightly older Fenway Park serving as the American League counter-park (get it?). Small local restaurants and bars populate the surrounding area, with some very notable bars having bleachers on their rooftops that allow patrons to see into Wrigley Field; this is something truly unique among all stadiums. Pictures can’t even properly do the stadium justice. A small stadium in the terribly inconvenient location, with a historically terrible team, manages to sell out virtually every game, with a fan-base that is among the best in the game. Every single great baseball player has stepped up to the plate at Wrigley, with a century baseball history to its name. 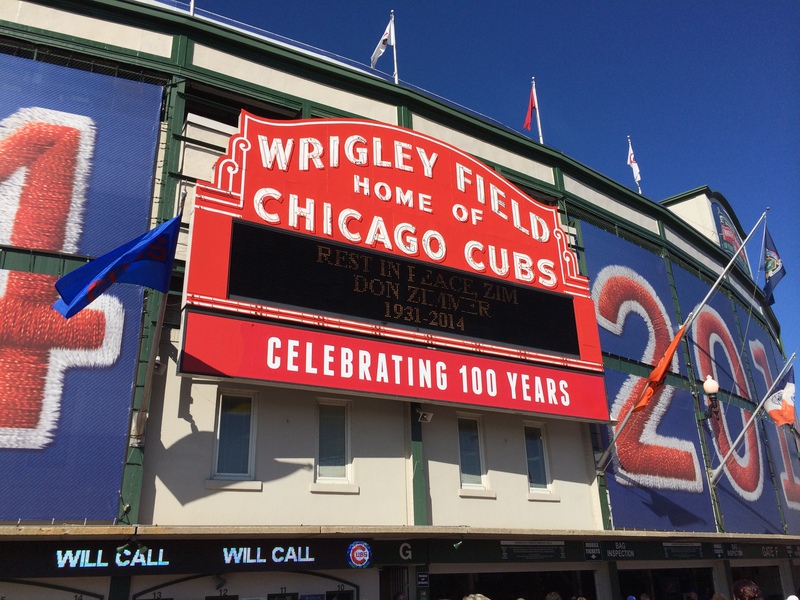 It just so happens that the 2014 season was the 100th anniversary of historic Wrigley Field, home of the historically bad Chicago Cubs, who haven’t won a championship since the Ottoman Empire still existed****, and we got to go around surrounding area about before the game. 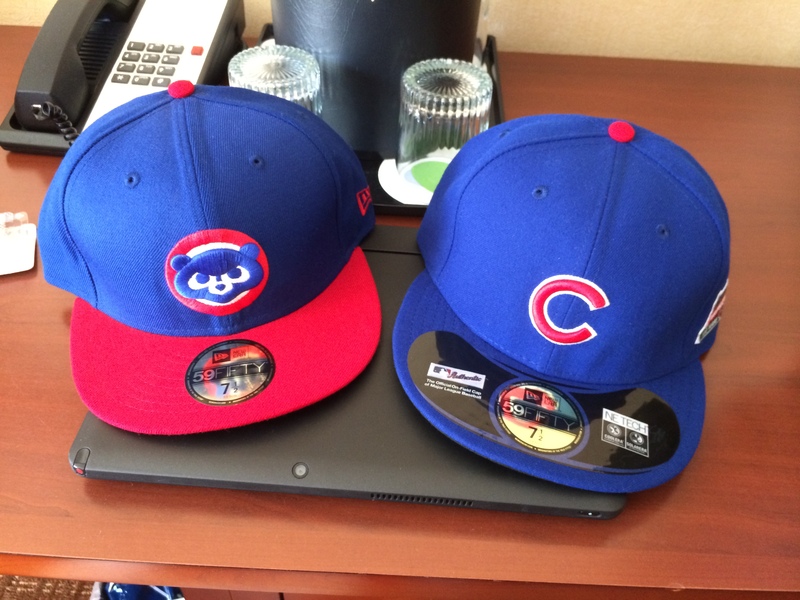 Due to the severely limited space inside the stadium, the main team store is outside the stadium, where I picked up these two Cubs caps featuring the retro baby Cubs logo, as well as the 100th Anniversary Cap the players were wearing during home games during the season. The game itself was amazing, with the Cubs jumping out to an early 4-0 lead, before the Mets stormed back to tie it up, before some late game heroics from Cubs’ first basemen and All-Star Anthony Rizzo put them back the lead, and gave them the win. After any Cubs home victory, they play “Go Cubs Go” by Chicago native Steve Goodman (which can be found here), which quickly became stuck in our heads for weeks on end. 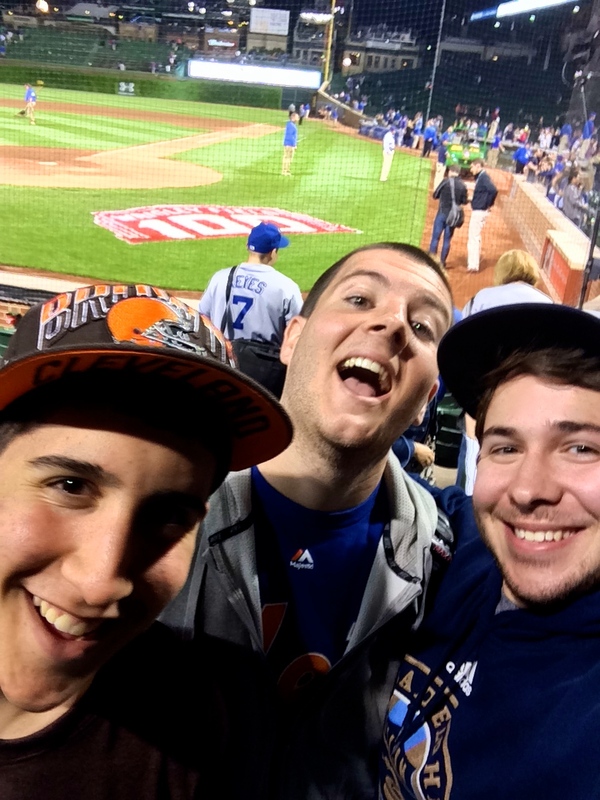 I got to see the Mets lose (a moral victory), the Cubs get a series sweep (an actual victory), the eventual NL Rookie of the Year winner Jacob deGrom and a very rare night game at Wrigley Field** all in one day, but for Sean that wasn’t enough. The entire game Sean would not stop saying how great and special Wrigley Field was… because there was a Taco Bell directly across from it. 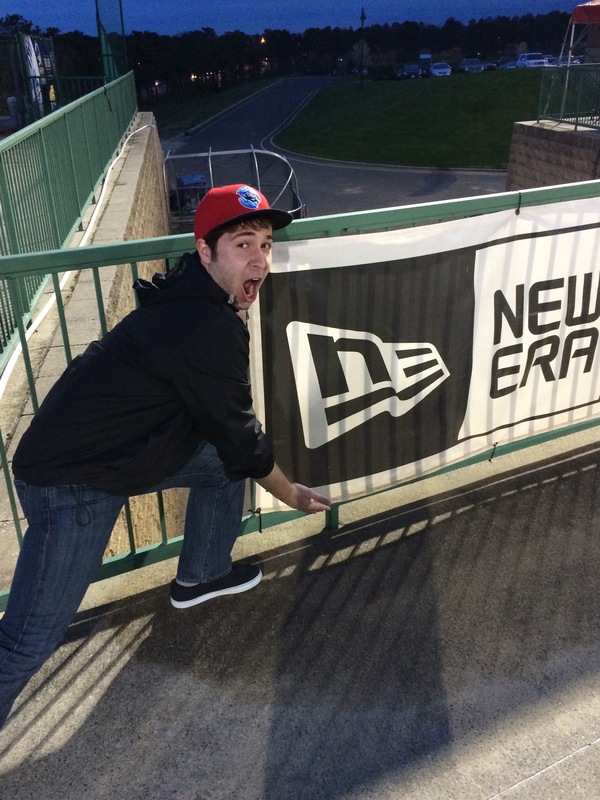 We were at a 100 year old baseball stadium, and he was excited about a Taco Bell. Now I understand if you may think that I am exaggerating this point, but I assure you I am not; he basically sprinted out of the stadium after the Mets loss and headed straight to his beloved Taco bell where he (along with Harry) stuffed their faces full of a “Nacho Bell Grande”. I honestly don’t know how they could stomach it. 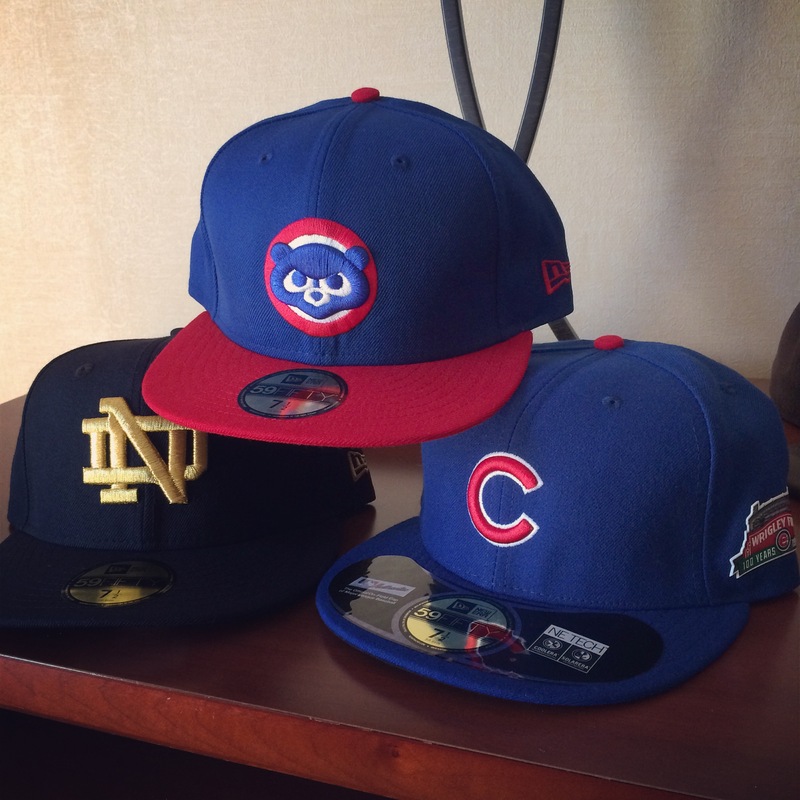 This day was exceptional for many reasons, but one of the main was that I broke a new personal record, purchasing three New Era Caps in one day between Wrigley Field and Notre Dame. *** After an exceptionally long day, which included a 40 minute adventure to remember in whose garage we parked, we finally headed back to the hotel. 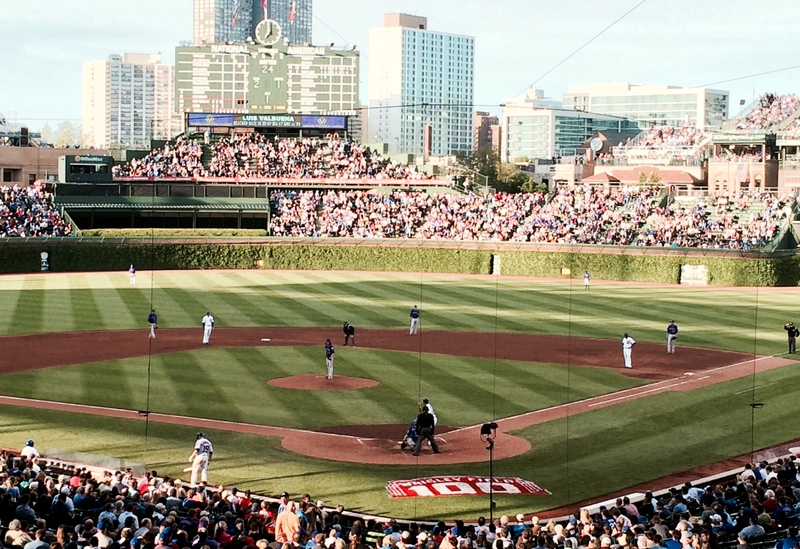 The next day, we headed back to Wrigley for a day game, with a whole new set of adventures to follow. * Including then Chicago Cubs’ pitcher Jeff Samardzija, who played both football and baseball at Notre Dame before being drafted in the 5th round of the draft by the Cubs. Later during the season, he was traded to the Oakland A’s. ** Since its in a residential neighborhood, the number of night games they play at home is severely restricted. *** As it turns out, they would be the only three caps I purchased during this road trip, proving doubters wrong, as the over/under for caps I would buy was set at 4.5. **** Sadly, this is an actual fact. The Ottoman Empire fell in 1923, and the Cubs last won the World Series in 1908. ROAD TRIP! 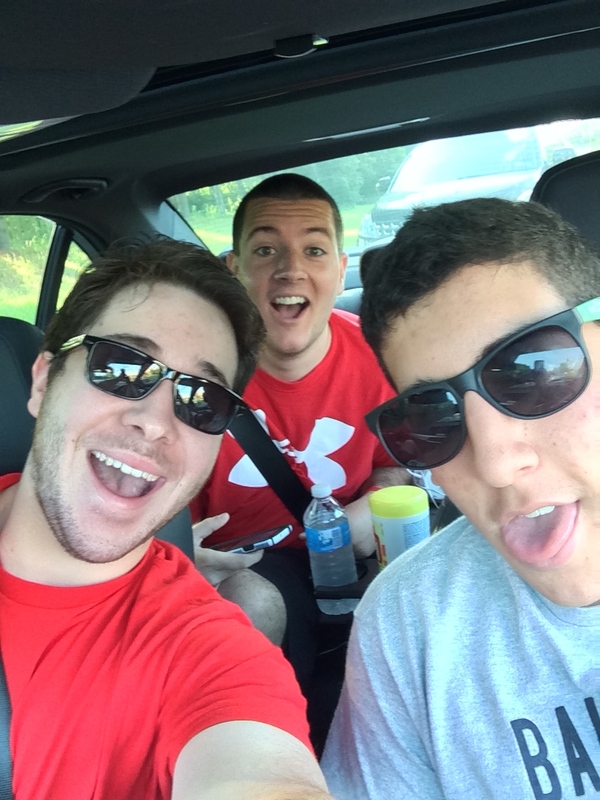 On an overcast June morning, I, along with my friends Sean and Harry, embarked on a what would be one of the best times of our lives: a baseball road trip across America. Over the course of 5 days, we’d be going to 4 games in 3 different stadiums. We have had this planned for months, and the excitement continually built up as we got closer and closer to the long awaited day. We had everything perfectly planned do out; starting in New Jersey (our collective home state), we would then drive to Cleveland for an Indians game, Chicago for two Cubs games (one night and one day game), and then on the way to Jersey we’d stop at Pittsburgh for a Pirates game and and Goo Goo Dolls concert. It really couldn’t have worked out any better. So with our bags packed, we set off! It started off in the typical fashion of three college students driving across the country: with a speeding ticket. Going a measly 3 miles over the speed limit, Sean was handed a parking ticket by a Pennsylvania State Trooper mere hours into our grand adventure, but we were unfazed. After a solid 8 hour drive (with Sean and Harry complaining about my choice getting Cherry Poptarts for the trip), we finally made it to Cleveland. This first day was just for travel, so we decided to take it easy, get some sleep, find the nearest Chipotle, and prepare for the game tomorrow. Since the game the next day didn’t start until 7:05, we had all day to explore the city of Cleveland. When I think of a city, I think of overcrowded places like New York and Philly. Cleveland was a substantially different change of pace. It almost seemed empty when compared to the largest East Coast cities we were used to. The traffic was near nonexistent. There wasn’t an uncountable number of people walking in the streets in between stopped traffic. It just seemed eerily quiet. While Sean and I had nothing really on our agenda, Harry was ecstatic about finally being able to go to First Energy Stadium, home of the Cleveland Browns. Harry has the unfortunate distinction of being a Cleveland Browns fan. Just to be very clear I have tremendous respect for the Browns’ fan base, but there is the stigma of being a cursed team, as well as a cursed city, having experienced am almost tragic championship drought. 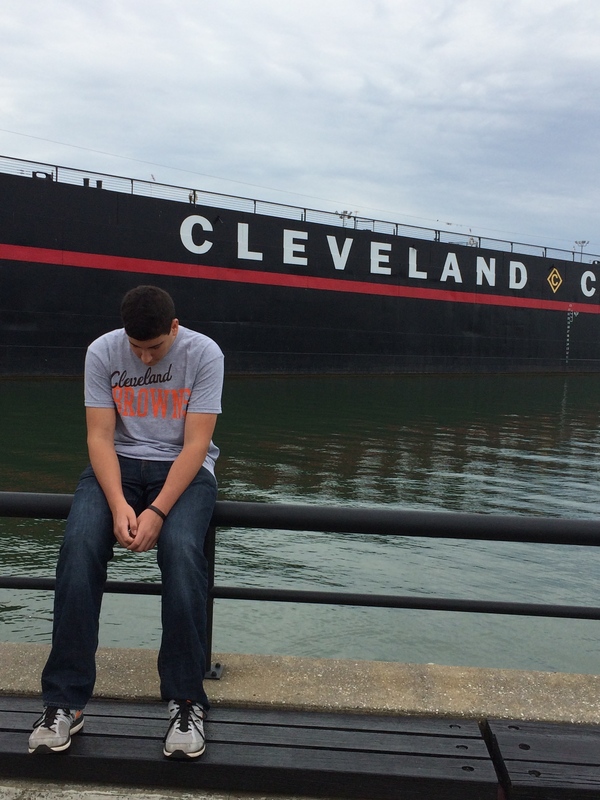 Luckily, at the time we went, things started to be on the upswing for the city of Cleveland. At this point, the Cavaliers has just secured the number one overall pick in the NBA draft (who turned out to be Andrew Wiggans), and the Browns drafted Texas A&M superstar Johnny Manziel, better known as Johnny Football, and there was the optimistic feeling that LeBron James would finally come back to Cleveland, which he eventually did. We learned when we got there that Manziel, along with fellow Browns first round draft pick Justin Gilbert, would be throwing out the first pitch later that night at the Indians game; needless to say Harry was ecstatic. After spending an inordinate amount of time (and in Harry’s case money) in the Browns team store, and stopping by the NASA Science Museum, we headed off to the game. 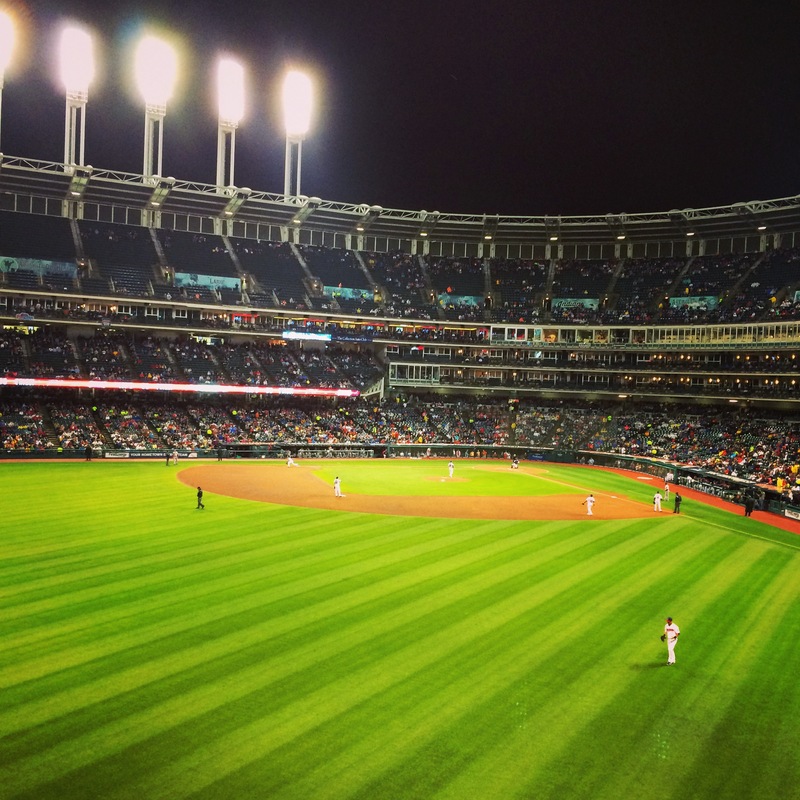 The Indians were taking on the reigning World Series Champion Boston Red Sox, with current Indians manager Terry Franconca coaching against his former team, which always makes for a great story. Besides Manziel throwing out the first pitch, it was also dollar hotdog night at Progressive Field, which being college students on a road trip, was possibly the greatest news of all time. Once we first walked I was surprised by just how small Progressive Field was. It just didn’t have the walkability that Citi Field or Citizen’s Bank Park has. We walked the entire stadium in 10 minutes, with Sean eating more and more hot dogs along with way, and then the rain started. It poured down for hours, getting colder and colder as the sun started to set. It was a miserable experience, just hiding under the overcrowded overhangs of the stadium with little to do on it. It really highlighted a weak point in the stadium, with not much to do and not much to see. After a three hour delay, the game finally started. While Johnny Football and company didn’t actually throw out the first pitch, he came out and did his famous “give me the money” pose to thunderous applause. We were really excited we got to see Corey Kluber, who has a legitimate chance of taking home the 2014 AL Cy Young award*. While he walked away with a no decision, but pitched well through 6 innings before giving up a two run homer to none other than Big Papi. 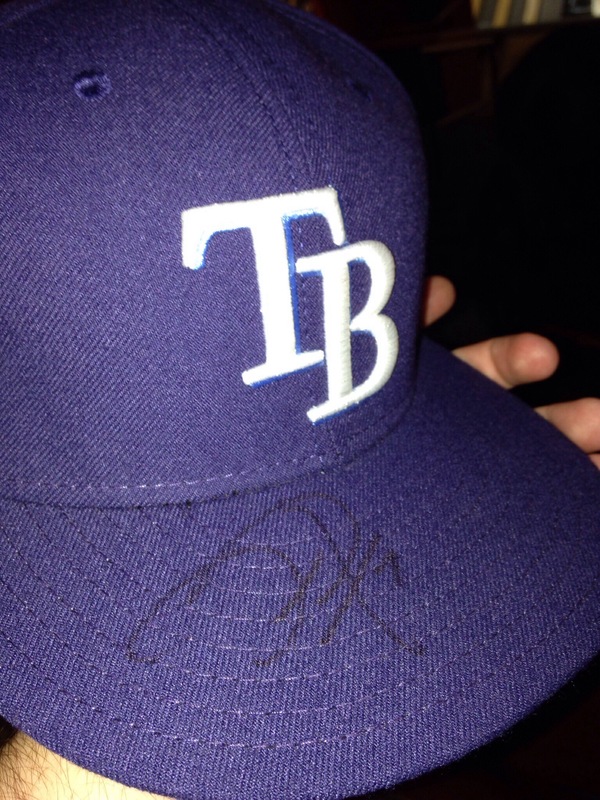 Perfectly enough, the hat I wore to this game was actually a birthday gift from Harry from last year. 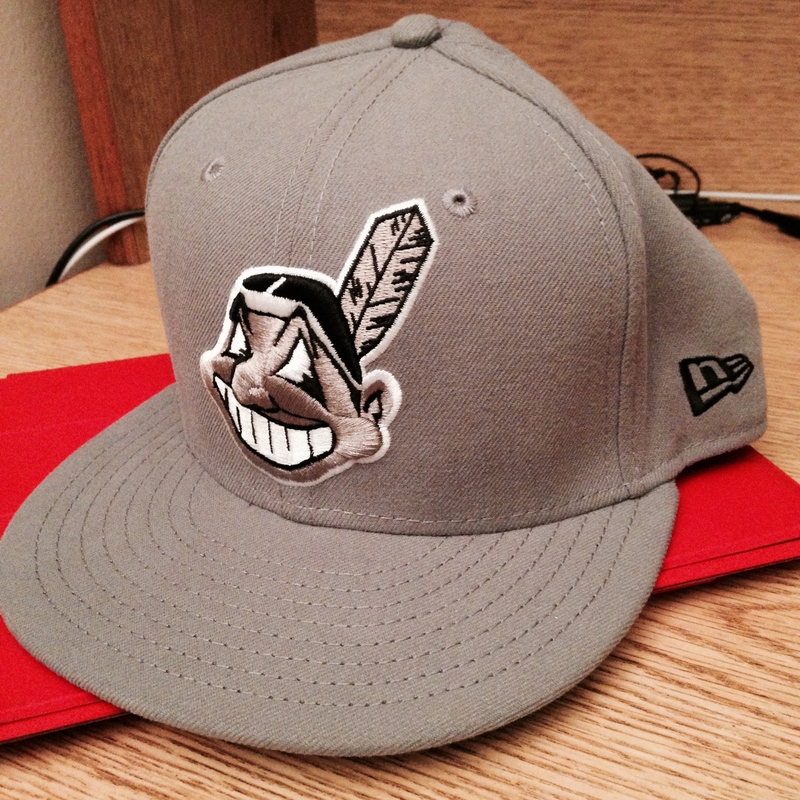 I have previously touched upon my love for Chief Wahoo, so he knew I would love any hat with the proud Native American smiling upon it. A lot was made around the time of our trip about a phenomenon known as “de-cheifing” (which you can read more about here), where people would literally cut Chief Wahoo out of their Indians gear. 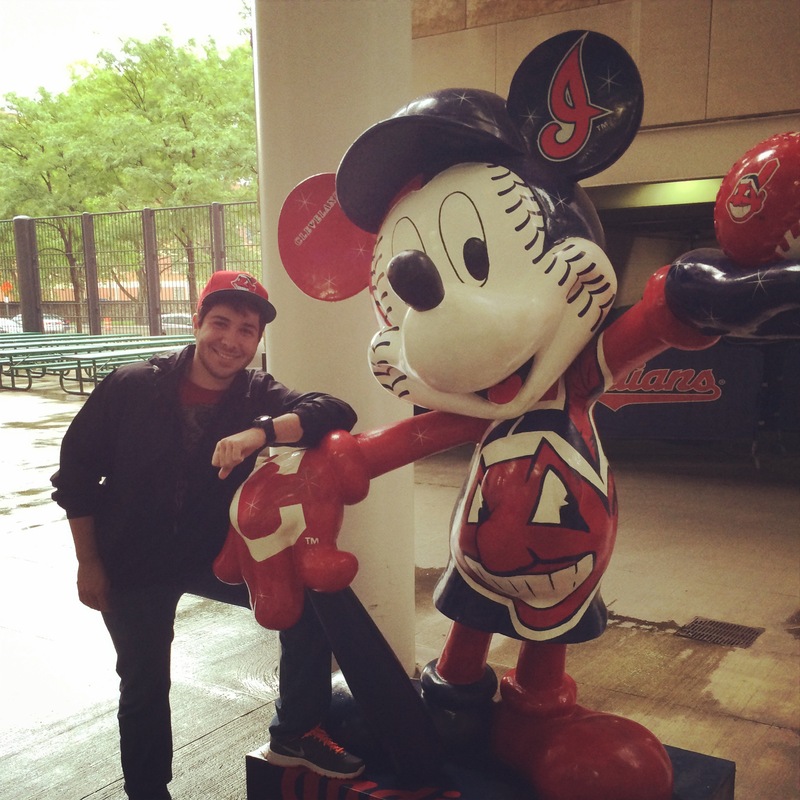 As a fervent supporter of Chief Wahoo, I was appalled, and I from the way it was portrayed in the media, it seemed much more widespread than it actually was. When we went to Progressive Field, I was fully expecting to see de-Chiefing run rampant, with jerseys and hats all showing nothing but a outline of my beloved Wahoo. Surprisingly, I saw nothing of the sort. Virtually every fan I saw with any type of Indians gear on could have Chief Wahoo found somewhere upon it, with the now preferred “C” logo taking a back seat. I didn’t see even one “De-Chiefed” item. The game itself went into extra innings, almost a curse after a long rain delay. By this time, we were just so wiped out, we made the collective decision that we would leave at the end of 9 innings, since we had to be up early to drive to Chicago for a game the next day. Eventually, as we heard on the radio, Asdrubal Cabrera gave the perfect end to a great day, with a three run walk off home run, sealing the Indians’ win at 2:02 AM. Next stop: Chicago. *Since the original posting of this article, Kluber has in fact won the 2014 AL Cy Young award. Recently, my roommate Sean’s younger sister Megan was honored for her academic achievement at a Lakewood Blueclaws game, and with his parents being the wonderful people they are, got me a ticket to tag along, well aware of my love of baseball and the Phillies (with whom the Blueclaws are the A affiliate). Imagine my excitement when I realized it was a doubleheader against none other the Mets minor league affiliate the Savannah Sand Gnats. Even if it’s their minor league players, I always appreciate an opportunity to see my beloved Phillies get a win against the Mets, the team Sean and his family support. 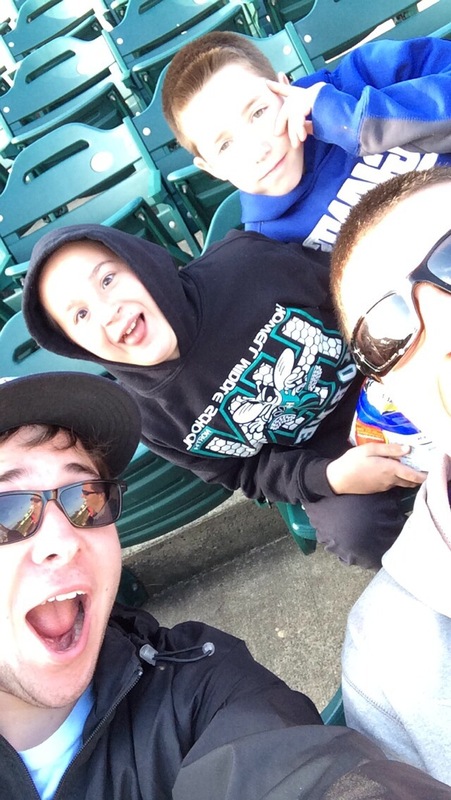 Sadly that wasn’t the outcome, with the Blueclaws losing both games by a combined score of 14-3. But it isn’t an entirely unexpected result; the Blueclaws are dead last in the South Atlantic League Northern standings with a measly 6 wins, while the Sand Gnats are leading the Southern Atlantic League Southern with 14 wins. 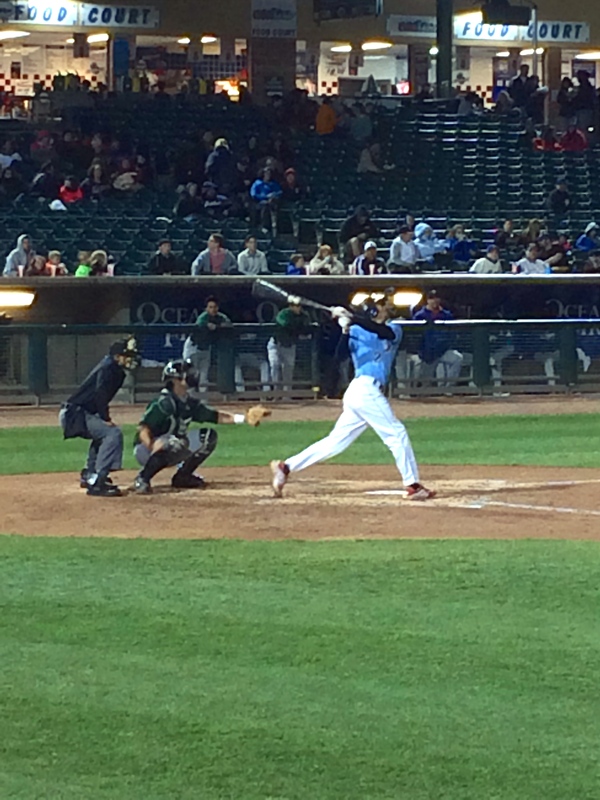 One bright spot for the Blueclaws is catcher Willians Astudillo, who is currently has the highest batting average in all of the South Atlantic League a stellar .400. While it’s more than likely just be an early season anomaly, it can’t hurt to lift the spirits of the struggling team. Considering he isn’t even on the Phillies top 20 prospect list, it’s pretty safe to assume something that won’t continue, but I’m glad I got to enjoy the hot streak in the moment. One of the many reasons I was excited to go to a minor league game was the fact that’s number of top Phillies (and Mets) prospects would be playing, including the Phillies 2013 first round draft pick JP Crawford. Hailed as the second coming of Jimmy Rollins, one of the all time great Phillies, having Crawford reach anywhere near that production would be a huge to the franchise. Expected to reach the majors in 2017, he is currently ranked as the #3 prospect in the Phillies organization. He had a decent night, going 3 for 5 between the two games with 1 run scored. I was recently reading an article that says Crawford is well on his way to becoming the Phillies shortstop of the future, and at only 19 years old, he has plenty of time to make an impact. As far as stadiums go, FirstEnergy Park (not to be confused with FirstEngery Stadium, home of the AA Fightin Phils), the Blueclaws home-field, was more than impressive. 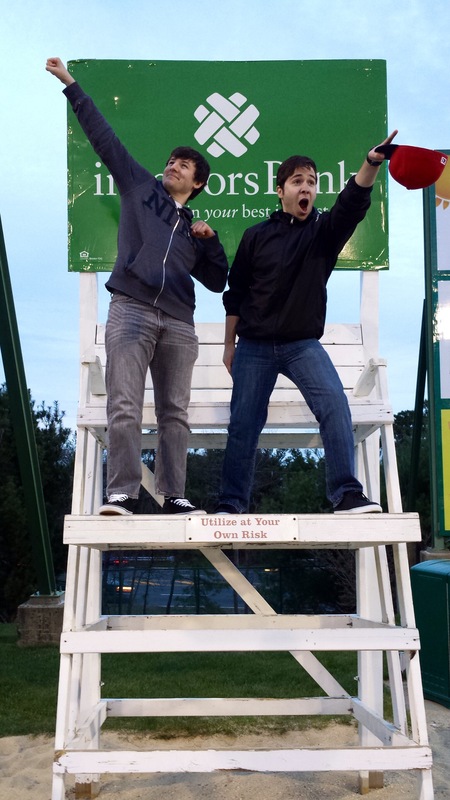 One thing the Blueclaws try to play into is the fact they are the team of the Jersey Shore, so they placed iconic lifeguard stands in the outfield of the stadium (pictured above). 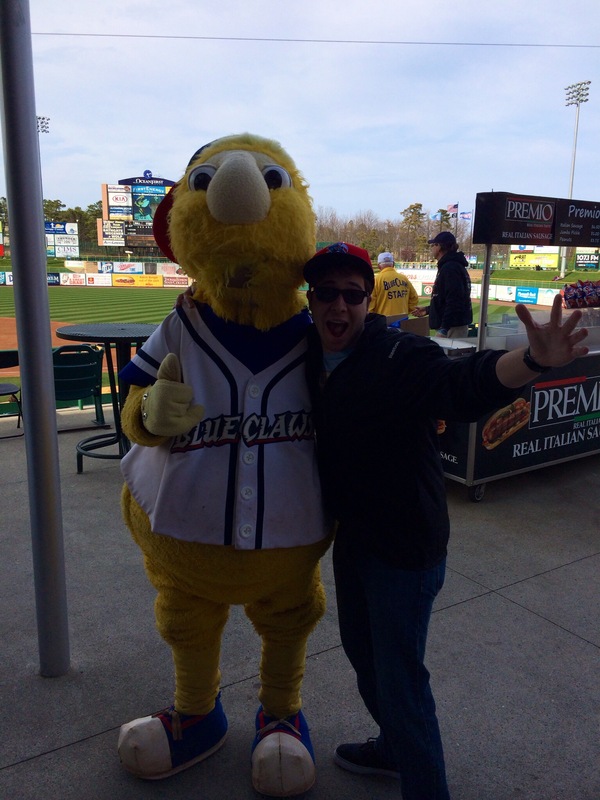 I even got a picture with their mascot (pictured below). Sadly, the regularly scheduled Friday night fireworks had to be canceled due to the weather that was moving in around 10, but they more than made up for it giving us a pair of free tickets to any game later this season; classy move on their part. 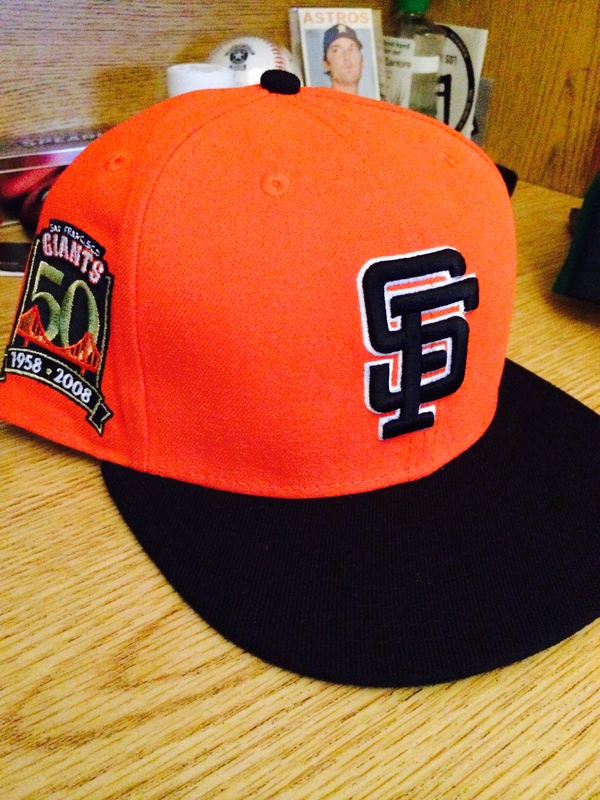 This particular cap is their at standard home-field cap and was used for the first game of the doubleheader. 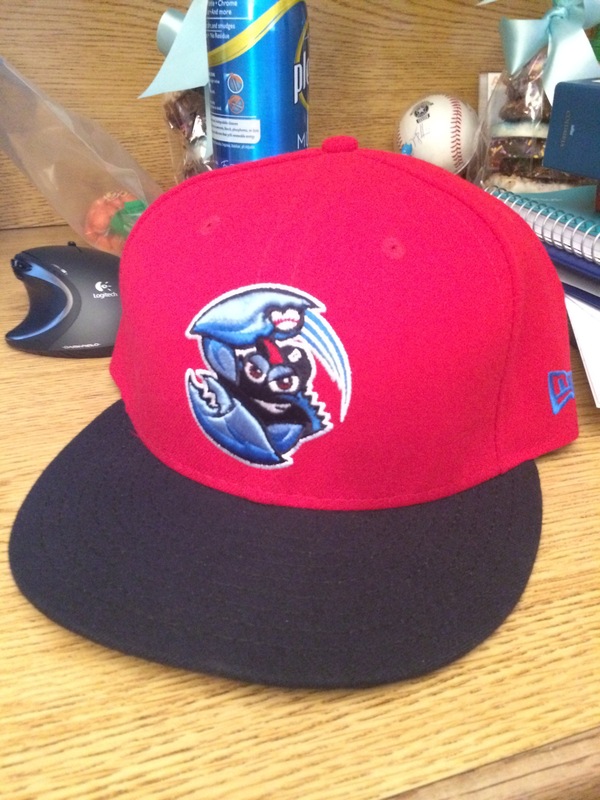 I got this awhile back on account that the Blueclaws are one of only two minor league teams in New Jersey, with the other being AA Trenton Thunder, who are affiliated with the New York Yankees. 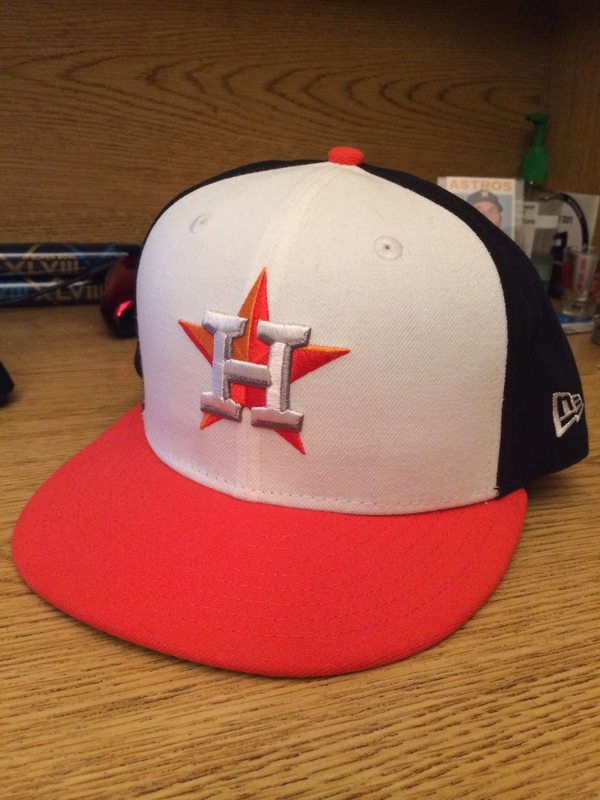 I also picked up another cap from their appropriate named team store, the “Claws Cove” which features a similar logo except the crab is batting rather than throwing, which will certainly be written about in due time. Once again, a big thanks to Sean and his family for letting me tag along on an awesome day, and specifically to his little sister Megan for her academic achievement award, since we wouldn’t have gone to the game without her. I will be back at the FirstEnergy Park on August 4th for Darin Ruf’s Bobblehead night, and I simply cannot wait. 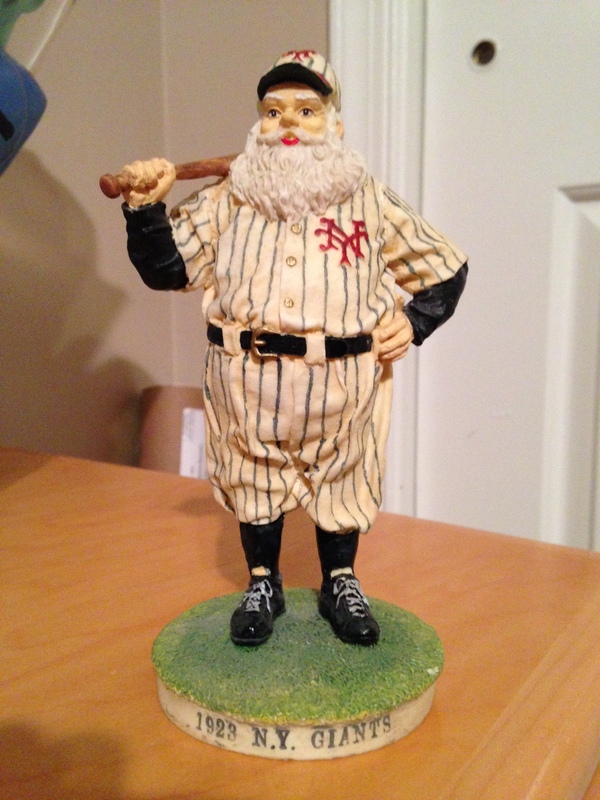 It’s a statue of a New York Giants Santa Claus that used to belong to him, and it’s something that I personally value very deeply. Is it the world’s best reason? No, but its the only one I have. Despite beating the Phillies during the 2010 NLCS, I had held on to no ill will; two straight World Series appearances was hard enough, and not making a third was completely understandable. However, a trade made just before the 2012 deadline however, gave me an entirely new reason: Hunter Pence. On July 29, 2011, Houston Astros’ All-Star Outfielder Hunter Pence was traded to the Phillies for a group of 4 prospects: Jonathan Singleton, Jarred Cosart, Josh Zeid and Domingo Santana. Overnight he became a beloved figure in Philadelphia. He was seen as a hero and the last piece in the puzzle for the Phillies to make it back to the World Series. He filled the gapping hole left by the departure of Jayson Werth to the Washington Nationals during the offseason. 2011 was a monster season for Pence: fourth in the NL in batting average (.314) and eighth in RBIs with 97. In their eyes, they finally found their next young outfielder, who was only 28 at the time. Almost the instant he set down in the city, he became a hero. Shirts labeled “Pence-sylvania” were common place. Billboards of his face could be seen far and wide. His jersey was the ninth best selling in all of the MLB. His bobble head night for 2012 sold out instantly, and word of his entirely paleolithic diet became consistent topic of convorsation. TV’s across the area ran add’s featuring Pence and his trade-markedly high socks. Tragically, the good times were not meant to last. Less than a year after being traded to the Phillies, falling short of their World Series expectations, they sent Pence packing to Cali to join the eventual World Champion Giants for OF Nate Schierholtz, RP Seth Rosin and catching prospect Tommy Joseph. The Phillies were on the borderline of contention, eventually finishing with a .500 record, something that they felt didn’t require an All-Star outfielder in his prime. But just because Pence left Philadelphia, it doesn’t mean that Philadelphia was ready to let him go. They still went ahead with his bobble head night as planned, which included a “personal” note from Hunter himself. Thanks, Phillies fans, for the great memories. I’m glad my Bobble Figurine will still be given out even though I’m no longer in Philadelphia. I hope it will serve as a lasting reminder of my time there. It was a year of my career that I will never forget. That year during the World Series, several Giants credited Pence’s presence on the field and as a leader in the clubhouse to their title as Champions. I was there for his first game back in Philadelphia, where he was met with thunderous applause every time he look the plate, tipping his cap to the fans and the city. He was the hard working, classy fan favorite what Philadelphia will forever embrace. No matter where his career will take him*, the love of Philadelphia and their fans will always follow. *As long as that place isn’t New York, Washington or Atlanta. This logo will always have a special place in my heart; for as long as I can remember every single year around Octorber my dad played his DVD of the the 1980 NLCS feating the eventual World Series Champion Philadelphia Phillies and the Houston Astros, which is widely considered one of the greatest playoff series of all time. Last year, the Astros made the move from the National League to the American League, finally balancing out the two leagues, and giving every division five teams. In addition to a new league, they got a new looking, getting rid of the brick colored jerseys and star logo that had become synonymous with the franchise in favor their orange and blue throwbacks featuring this classic logo. Despite the updated look, the Astros were still stuck in their losing ways, having the worst record in baseball for the second straight year. They had the lowest payroll in baseball, and despite having numerous problems with hitting, their pitching was abysmal. Bud Norris was their ace for most of the season before being traded to the Orioles before the deadline. This forced them to gather anyone with an arm in a vain attempt to put bodies on the mound: this man was Philip Humber. On April 21st, 2012, Philip Humber pitched the 21st Perfect Game in MLB history as the Chicago White Sox defeated the Seattle Mariners. As anyone does with a perfect game, Humber had his moment in the spotlight, doing rounds on all the TV shows and dominating SportsCenter for a good week and a half. Philip Humber is the definition of a one-hit wonder; since being drafted in the first round by the New York Mets, he has struggled to stay in a rotation, bouncing around the Twins, Royals and eventually White Sox farm systems. He has a career 5.31 ERA in 7 season (4 as a starter). The Houston Astros, who ranked no higher than 26th in most major pitching statistics, had him designated for assignment after going 0-8 with a 9.59 ERA. Eventually he was brought back up mid-August to play a long relief role. During this past offseason, he signed a minor league contract with the Oakland A’s with an invitation to spring training; at this point he would be lucky to stick around in the majors, and sadly his days as a starter are officially over. 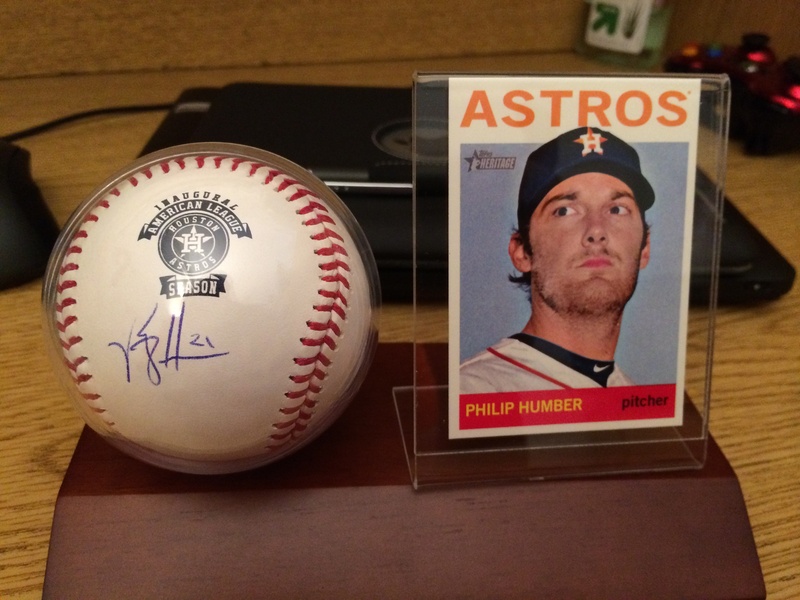 On a whim, I bought this Humber signed ball, which happened to also be from the Astros Inaugural American League Season. I believe my thought process at the time was two notable events (a perfect game, and a team switching leagues) in one awesome baseball. 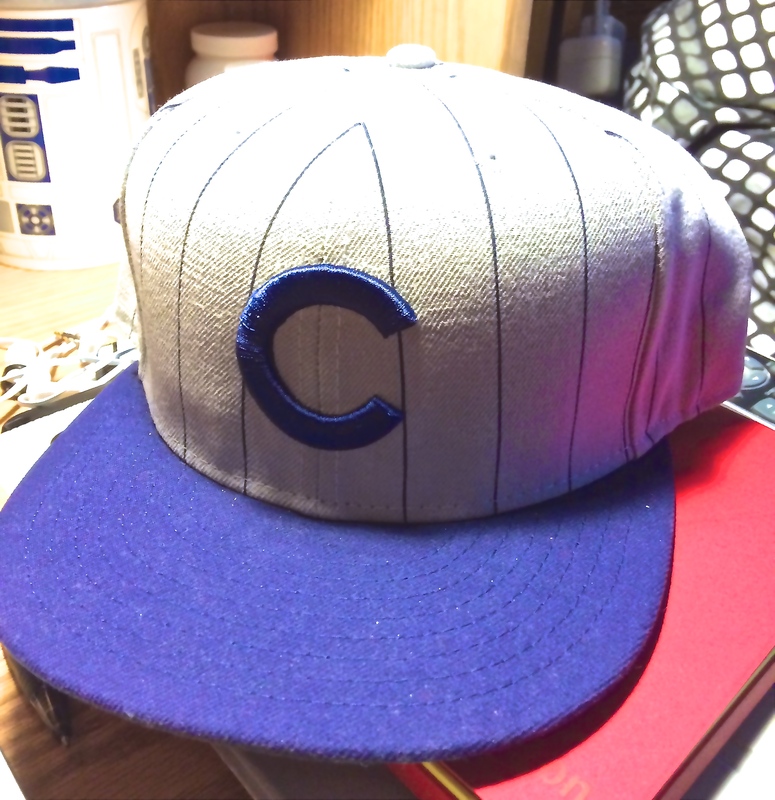 While I would have preferred a White Sox one, this piece of baseball history was simply too cool to pass up, and thankfully I can say I have the New Era Cap to match. 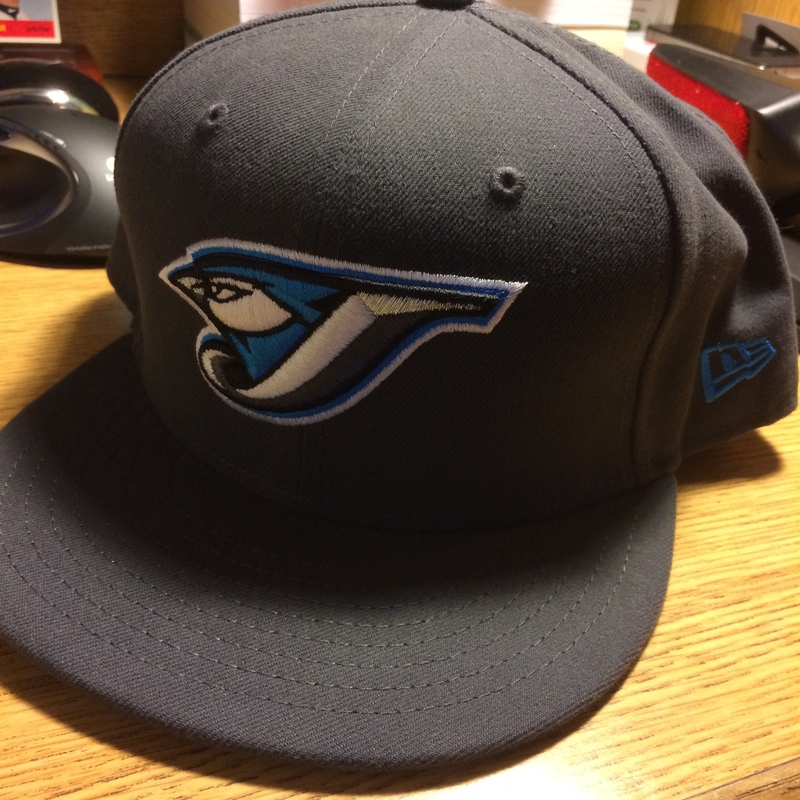 Whenever a new team enters any league, goes through a total re-branding, or moves it is almost a certainty that I will get that cap. The Hillsboro Hops are no exception, moving from Yakima, Washington to Hillsboro Oregon in time for the 2013 season. A Short-Season A affiliate of the Arizona Diamondbacks, the Hops are the only professional baseball team in the Portland metropolitan area, and try to reflect the community they represent. They are so named after the Hops which are commonly used in the beer-making process, which Oregon is known for. According to my friend who used to live in the state, about 1/3 of all beer produced in the United States can be traced back to Oregon. 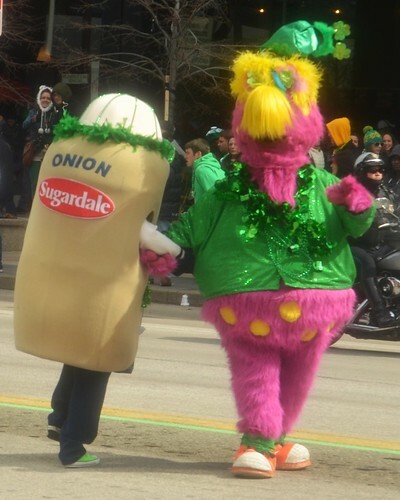 Even their mascot Barley’s name was chosen from a contest in the local community. As far as non-baseball awards go, the Hops won just about every one they could. 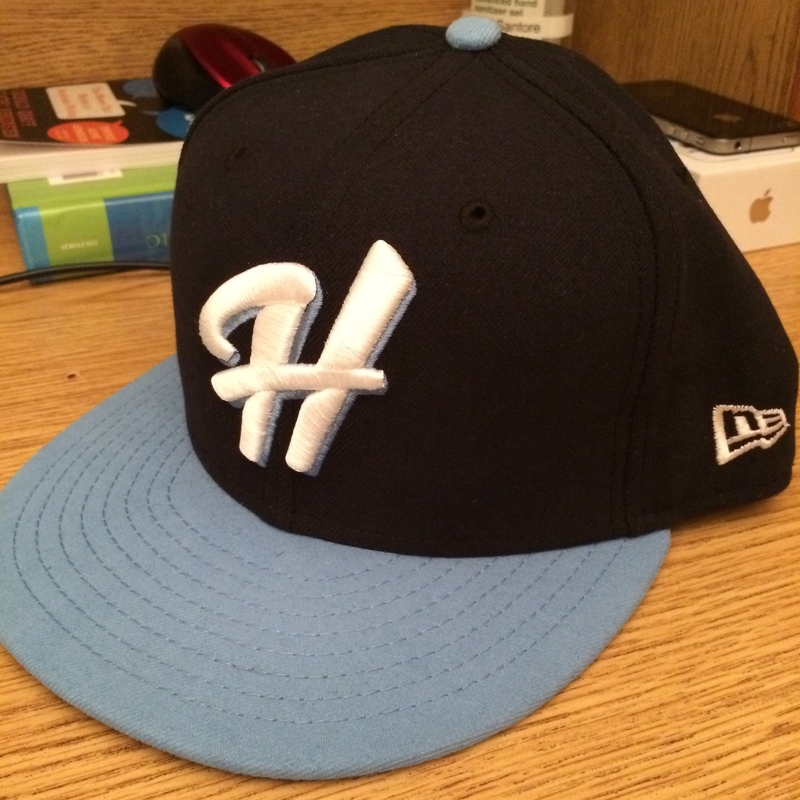 The Hops’ branding and logo was named the best in all of Minor League Baseball for 2013 by Ballpark Digest; that is out of 243 possible teams. The odds of wining that award are .413223%. 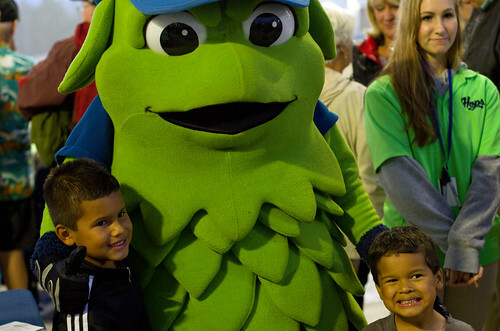 Even their beloved mascot Barley was named the winner of the Northwest League “Mascot Mania” contest. They played their first ever home game in front of a sold out crowd of 4710 at Hillsboro Ballpark, and the fans continued to come. They even lead their league in attendance, giving the Portland area a team of their own. Since 2013 was their inaugural season as the Hops, no one of note has passed through the system as of yet, but that doesn’t mean the franchise hasn’t had its fair share of notable alumni in the pre-Hillsboro era. Back when they were a Los Angeles Dodgers affiliate, many future All-Stars played for the then named Yakima Bears, including Paul Konerko, Shane Victorino and Carlos González, who have all had outstanding careers at the major league level. Time will tell whether any current Hops players will reach any success at the Major League level, but former Hops closer Daniel Gibson is currently ranked 20th on the Diamonabacks Top 20 Prospect List, with an ETA to the Majors put at 2015. One of four Hops players to be named to the Northwest League All-Star Game, Gibson posted a 0.56 ERA through 16 innings of work. I, along with many Hops fans, hope to see this guy make it to the big leagues, giving them the first MLB player they can call their own alumni. Sadly, their inaugural season was filled with mediocrity on the field. Their team batting average was .238, while they hit only 29 home runs in 78 games. The nature of Short-Season A means that most if not all players will be new to the team, allowing for a potentially quick turnaround for the infant franchise. I wear this cap proudly, supporting a franchise that is filled with potential and has the community willing to embrace it. Generally, when I have a soft spot for a team throughout any sport, it’s because of a of a specific memory I have of the team from my childhood; the Cleveland Indians are the rare exception. My love of the Indians is new-found, beginning in the 2013 season with the hiring of former Phillies and Red Sox manager Terry Francona and the signing of free agent outfielder Nick Swisher. While he will always be remembered for the two World Series he brought to Boston, breaking the Curse of the Bambino, Francona was the manager of my beloved Philadelphia Phillies between 1997 and 2000. While I personally do not remember him managing, as his last season with the team ended before I was five, my father and uncles all speak of him very fondly, even if his best record with the club was only 77–85. Sadly, Philadelphia didn’t weep too much for his firing, as they hired fan favorite player-turned-manager Larry Bowa. I will never forget the day my cousin Rocco from Arizona called me up all excited. He was in charge of hosting a very large golf tournament that was going to be held in Tuscon, and somehow during the preparation stage he ran into the one and only Terry Francona, recently fired from the Red Sox. 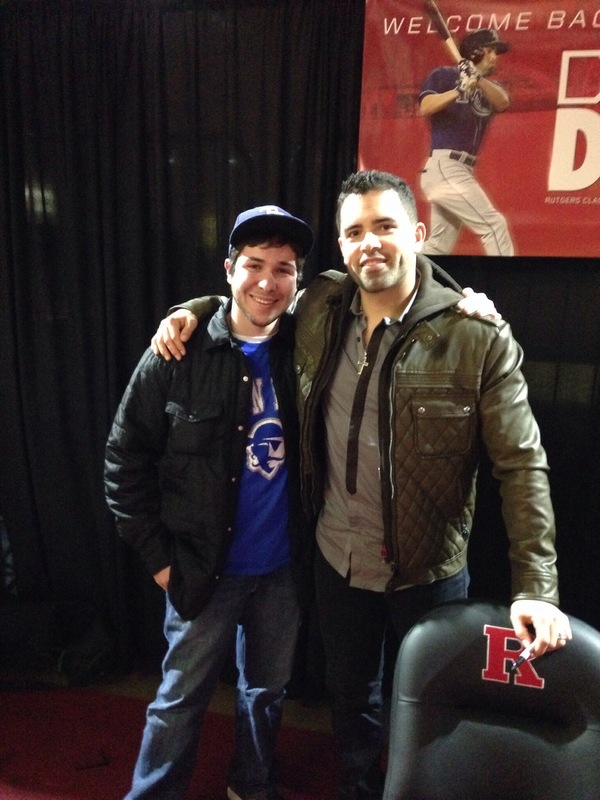 Despite living in Arizona, Rocco is thankfully a diehard Phillies fan, and was beyond excited when he ran into him. Now this is someone who is generally as cool, calm and collected as they come. I had never before gotten an actual phone call from him before, but he felt it was worth it. You could hear the excitement in his voice, and its something I will never forget. When a manager is loved by a fan after mediocre seasons more than a decade afterwards from someone who is as big a fan as Rocco, it truly means something. Somehow he was able to convince Francona to come to attend his tournament, and was able to reminisce on old time Phillies memories. Man am I jealous. Nick Swisher was and always will be one of my all-time favorite players. I have often said that the Chicago White Sox are my second favorite team due to the amazing childhood memory I have of attending the 2003 All-Star game hosted at US Cellular Field. Swisher was traded from the Oakland Athletics to the White Sox for Ryan Sweeney, Gio Gonzalez and Fautino de los Santos. At the time it was part of a larger rebuilding effort by the A’s, and Swisher was on the bubble between fan favorite and super star at the time. He was unimpressive during his season with the White Sox, batting a career low .219 and hit a very pedestrian 24 home runs. Even when he was part of the 2009 Yankees team that beat my beloved Phillies during the World Series, I could not bring myself to root against him personally. I honestly don’t know the answer as to exactly why I like the guy as much as I do; he is as someone I will always go out of my way to support no matter what team he is one. 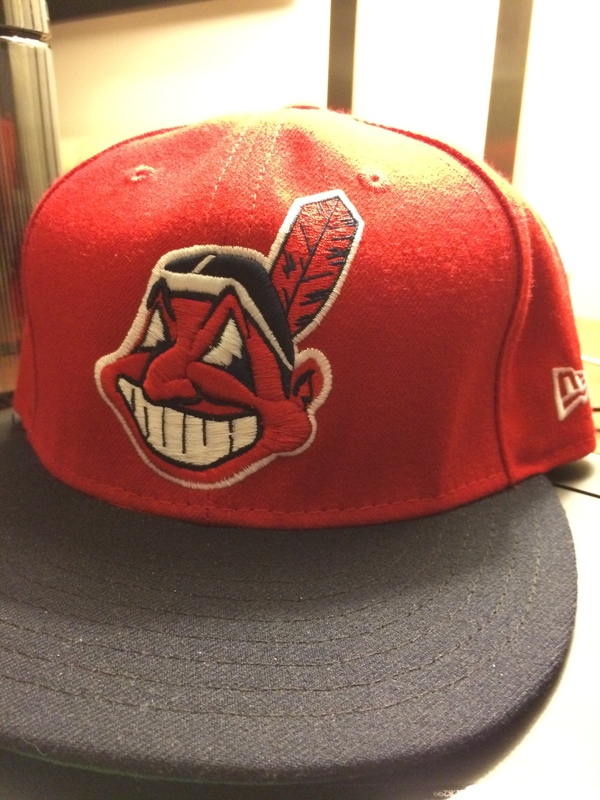 Chief Wahoo is one of my favorite logos throughout sports, but it sadly appears as if the Indians have finally accomplished their task of entirely phasing him out due to the cultural insensitivity of his representation of Native Americans. If I asked you to name, or even just visualize, the Indians’ mascot chances are you would think of some form of a Native American resembling Chief Wahoo; sadly, you’d be wrong. The correct answer is Slider, a “fuchsia” colored creature thing who has absolutely nothing to do with the team’s overall name and theme. Former Cleveland Cy-Young winner Cliff Lee perhaps said it best: “I mean, Slider’s like a giant walrus that’s suffering from the Resident Evil virus.” I couldn’t agree with you more Cliff. How Slider is in the mascot hall of fame with such timeless characters like the Phillie Phanatic and Mr. Met is beyond me. I can’t tell you specifically why I love the Chief Wahoo logo. Maybe its the broad smile that adorns his face, lighting up the day for the Cleveland faithful. Something about it just resonates with me, and to me is one of the classic logos in all of baseball; one that is instantly recognizable with the team. I understand what a lot of people absolutely hate it, and a significantly smaller amount find it offensive. Personally I think killing him off as part of the franchise is more offensive than allowing a classic MLB logo to stay. Sadly I am not the one making decisions. All of these factors together give me a soft spot for the Indians. Just to be 100% clear, I am a Phillies fan and only a Phillies fan, but I support many other teams as well. I just happen to support the Indians more than most. When they made the postseason their first season under Francona, I was beyond excited. Even though they were eliminated in the one game wildcard round, it showed what a turn around this team could make and a glimpse of their future potential. 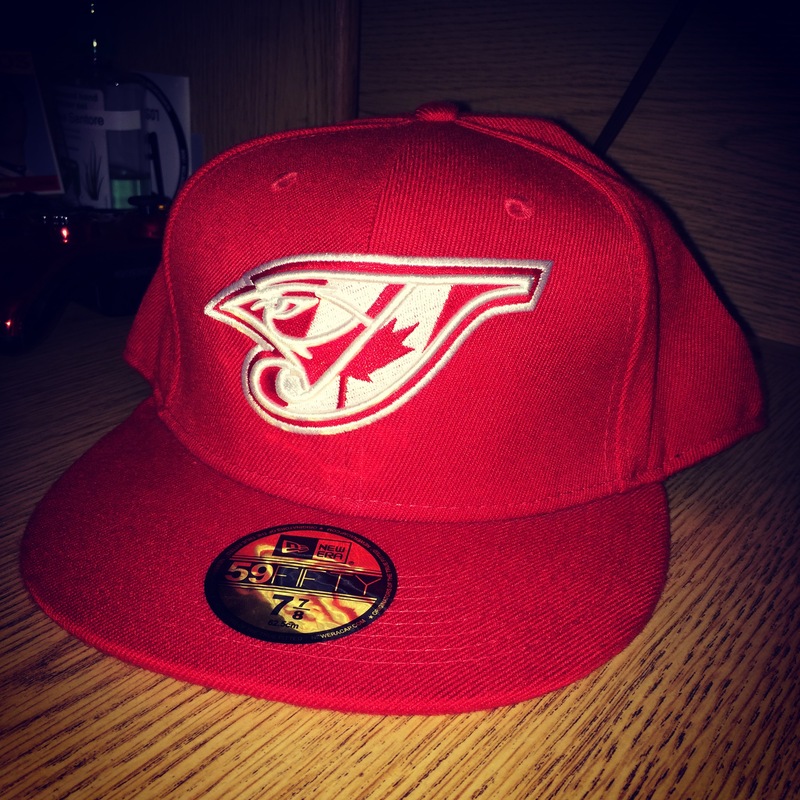 While most caps I buy have an uninteresting story about how they were purchased (with the notable exception of my New Era Cap), I vividly remember when this one was purchased. Being part of a large Italian family, we often get together with grandparents and numerous cousins at Italian restaurants to celebrate even the smallest of events. I cannot remember specifically what event we were celebrating, but we decided to try Maggiano’s Little Italy restaurant at the Cherry Hill Mall for what I believe was the first time. As grandparents do, my grandmother gave each of us some spending money, for which I was very thankful for. After dinner, my cousin James and I spent it almost immediately at the LIDS in the mall. I remember James picked up a diamond era with the Cincinnati Reds’ Running man on it. I came very close to buying my first Kansas City Royals cap, but ultimately decided on the Indians Cap due to solely on the fact that there were no stitching errors. While most are unnoticeable to a vast majority of the population, me and my obsessive-compulsive self can’t in good consciousness wear a cap with such errors. In a way, I am glad that fate ended up forcing my hand to get the Indians cap as it allows me to show off my pride in Nick Swisher, Terry Francona and the entire Indians organization.